Gameloft, a leading global publisher of digital and social games, is happy to announce the release of four titles specifically optimized for Apple’s new iPad: Order & Chaos Online, Modern Combat 3: Fallen Nation, Asphalt 6: Adrenaline and Gangstar Rio: City of Saints. Each of these titles takes full advantage of the functionality of the new iPad to offer a stunning and unique game experience. Equipped with an A5X processor with a quad-core graphic chip and a Retina Display that supports a 2048 x 1536 resolution, the new iPad offers the opportunity to produce extremely high-quality graphics and allow an even more realistic game experience. If you own any of the games mentioned above, the update featuring Retina Display iPad graphics is available to download right now. Enjoy! ← ‘Rune Raiders’ Lands on the App Store! 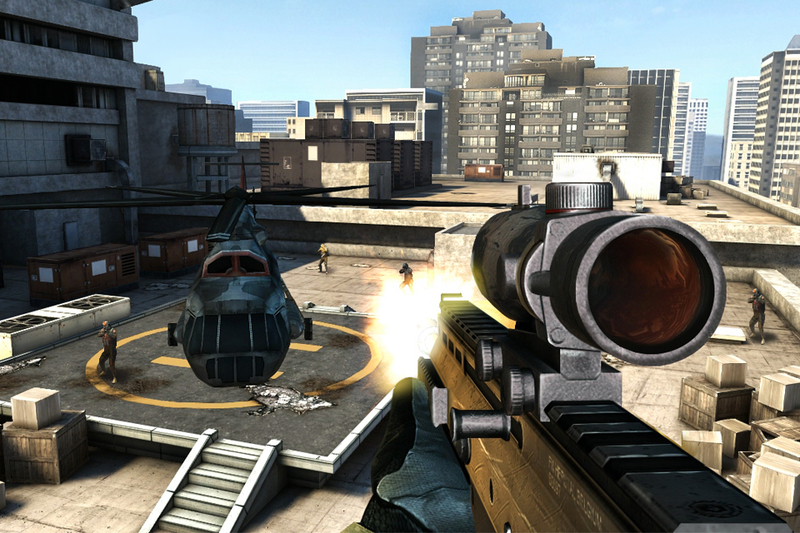 ‘Total Recoil’ hits the App Store! Entries (RSS) | Comments (RSS) | 90 queries in 1.532 seconds.